Are your wisdom teeth causing you bother? If you’re experiencing pain or discomfort due to wisdom teeth, you should make an appointment with your dentist. Book a consultation with the Brite Dental team and your appointed dentist will check the condition of your wisdom teeth, advising on the best course of action. In most cases, a quick X-ray of your mouth will give a clear idea of which wisdom teeth need to be removed and which teeth can be attended to with more everyday remedies like antibacterial mouthwashes and advanced teeth and gum cleaning. Wisdom teeth don’t always cause problems, as sometimes there will be enough space for them to come through in a convenient position. However, for many wisdom teeth can cause a lot of discomfort and they can cause severe dental problems further down the line. If a wisdom tooth is impacted and hasn’t fully broken through the gum, more serious complaints can fester. Tooth decay is one common complaint seen with wisdom teeth, while gum disease and pericoronitis are also common. In more extreme cases, a problematic wisdom tooth can trigger bacterial infections of the tongue, throat or cheek, while abscesses can form due to infection. In the rare case that a wisdom tooth hasn’t properly broken through the gum, cysts can form. 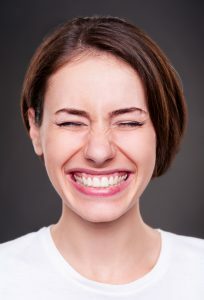 How can I reduce the discomfort of wisdom teeth? Rinsing your mouth with warm water and a teaspoonful of salt will help ease gum soreness and inflammation. Rinsing the salt water several times a day will help target areas you cannot reach with your toothbrush. To relieve pain you can also take paracetamol or ibuprofen. In most instances of wisdom tooth extraction, your dentist will apply a local anaesthetic before moving on to the procedure itself. If you’re having multiple or all your wisdom teeth removed, your dentist may use a stronger anaesthetic to ensure as little discomfort as possible during the procedure. For more anxious and nervous patients a sedative can be used to relax you. Often, a small cut needs to be made into the gum tissue itself, freeing up the problem teeth for extraction. 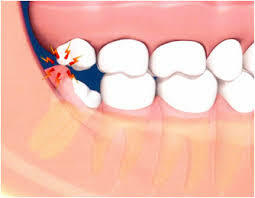 Particularly troublesome teeth may need to be broken up in to smaller pieces to ensure a total extraction. 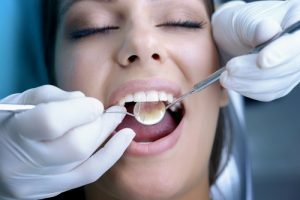 Why it is Important to get your Wisdom Teeth Removed? Although many patients are reluctant to turn to their dentist for wisdom tooth extraction, the procedure is essential for ensuring optimum dental health. When trapped or impacted teeth are removed, you’ll be able to chew more easily and alleviate yourself of the swelling and discomfort caused by erupting teeth. What’s more, when wisdom teeth are left unchecked, they can damage the teeth immediately around them. These changes to your molars can become more noticeable over time and can lead to even more costly cosmetic procedures down the line. If you’re suffering from a painful wisdom tooth, get in touch with the team at Brite Dental today to discuss your options and book an appointment with our first-class clinical team. This entry was posted on Wednesday, January 18th, 2017 at 10:45 am	and is filed under Dental Health & Tips. You can follow any responses to this entry through the RSS 2.0 feed. You can skip to the end and leave a response. Pinging is currently not allowed.